It is my pleasure to launch the new blog of the Egyptian Ministry of Foreign Affairs. This initiative aims to provide an informal platform for diplomats and officials, and equally scholars, academics and thinkers to contribute to debates on Egypt’s foreign policy and to share their comments, thoughts and analyses on Egypt’s role in the region and the world. In a world of rapid movement and change, this blog seeks to ensure greater interaction with the wider public and more effective connectivity with the outside world. As part of this agenda, the blog will also seek to accurately represent economic, political and social developments in Egypt, in a timely and interactive manner. It provides a tool to supplement formal channels of information and to circumvent the labyrinthine editorial policies of the mainstream international media. The aim is to provide a more objective narrative of events in Egypt for those who seek more than just the partial truth. This is one of the most eventful periods in Egypt’s modern history; in just four years, this country has witnessed two revolutions against tyranny, yet it has luckily been spared the chaos, fragmentation and conflict besetting other countries in the region. It therefore stands as a crucial bastion of security and stability in the region. After the second Egyptian revolution of June 30th, 2013, which culminated after nation-wide mass protests, Egypt’s long-term objectives have emerged strong and clear: the prosperity, liberty, security and well-being of the Egyptian people in a just and equitable world order. This new, dynamic Egypt is an Egypt that is responsive to change, an Egypt that reflects the will of its people. 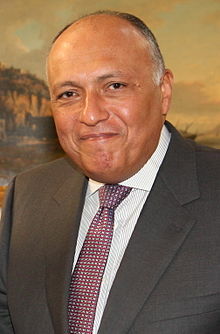 It is an Egypt that is open to the world, persistently seeking new and innovative avenues for dialogue and exchange. Although the challenges facing Egypt are numerous, we recognise that there is ample scope for progress in every walk of life, and that access to information is a key ingredient of success. Our aspiration towards justice at the international level, however, presupposes that the flow of information and knowledge is a two-way street. And while knowledge created in the West is now accessible in ways that were once unimaginable, developing countries including Egypt are still struggling to pierce the almost impenetrable world of global corporate media. The dialogue we are now initiating aims to make Egypt’s unique voice and insights heard internationally. We are committed to being active agents in disseminating specialised knowledge and analysis about Egypt, its foreign policy and its role in the region and beyond. As a testament to the candidness, transparency and authenticity of this dialogue, we have made sure that contributions to this blog are published under the authors’ actual names. Each author will remain the sole owner of his/her contribution and will be responsible for its contents. All blog posts will aim to offer in-depth analysis and commentary, for the benefit of our wider audience. I look forward to a new leap forward in how Egypt’s Ministry of Foreign Affairs communicates with the world and hope you enjoy the conversation!